Power Mad: How Sen. Bob Bennett learned to stop worrying and love nuclear power plants. Mike McCandless grew up playing in the uranium mines of Utah’s Emery County. At 41, he still does, hiking and exploring, wheeling around in his Dodge truck, showing off this unique piece of real estate to recreationists and business people alike. In the Temple Mountain area, the silent, sandstone beauty of the San Rafael Swell is punctuated by tumbleweeds, wind-carved hills and the man-made caves we call mines. McCandless remembers shining a flashlight whose beam never reached the ceiling of one such mine. It’s just an exciting part of the local history, and McCandless, as the head of Emery County’s planning and zoning, economic development and the travel bureau, wants to share the wealth. Literally and figuratively. 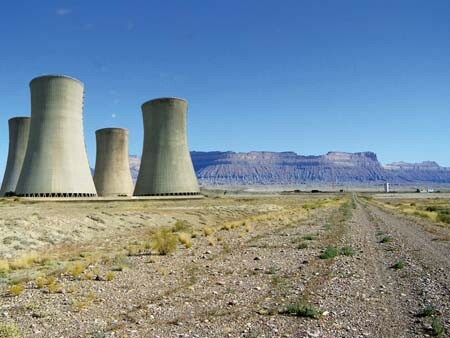 Emery County—Green River, specifically—is the chosen site for a future nuclear power plant touted by former Rep. Aaron Tilton, R-Springville, whose holding company, Blue Castle (BlueCastleProject.com), owns and wants to develop the site. It could be the beginning of a nuclear boom—economically, of course. 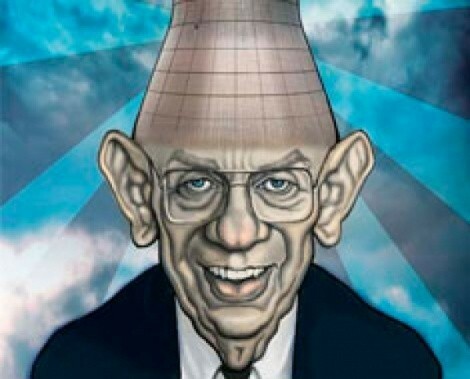 U.S. Sen. Bob Bennett, R-Utah, wants to start with 100 nuclear power plants around the United States, just to get things going for an industry that’s been stalled for decades. There hasn’t been a new reactor built in the United States since 1977, according to the U.S. Department of Energy, when the River Bend plant went up in Louisiana. Certainly, the recent energy scare helped fuel the nuclear debate and gave new legs to Tilton’s Blue Castle plan. But the political climate is perhaps hotter than any reactor, and questions still are answered with polarity. This, despite a clear majority of Utahns abuzz about nuclear energy and both the jobs and electricity it promises to bring. According to a 2008 Dan Jones poll, 57 percent of Utahns were OK with the idea of nuclear as part of the state’s future, and fully one-third of those questioned strongly favored the idea. In June, Bennett held a Republican-sponsored Senate hearing to explore the possibilities and, oh, to eviscerate the Democrats’ proposed cap and trade system of “pollution credits” traded from a less-polluting entity to one that pollutes more. It was a virtual love-fest of nuclear proponents, including senators Lamar Alexander, R-Tenn., Jim Bunning, R-Ky., and Roger Wicker, R-Miss., as they questioned the reality of global warming under their breaths, characterized cap and trade as something of a tax conspiracy to redistribute wealth and pollution, and laid out a proud vision of nuclear cleanliness for the future. To some on the sidelines, there were a couple of revelations: Republicans say they unanimously agree they want clean air, and they want to “remind” people that they know how to give you pollution-free, carbon-free electricity. “Nuclear power is the proven way to do it,” Alexander said. Bunning voiced the party line on voluntary pollution goals for industry while providing incentives for nuclear and clean coal. Also, they no longer think Nevada’s Yucca Mountain is needed for nuclear waste storage. That was a big one. With that $90 billion monster theoretically off the table, nuclear proponents are spreading their wings and going back to the future of nuclear-plant construction. In fact, the carbon issue is one of the driving forces behind the nuclear rebirthing process. Since 1995, most of the country’s electricity has come from coal, and when you factor in all fossil sources, you account for about 72 percent, noted Kevin Book of ClearView Energy Partners. For Utah, coal is a huge issue, both environmentally and economically. The state is the 12th-biggest coal-producing state in the country, according to SourceWatch, a project of the Center for Media and Democracy. In 2005, coal accounted for 74 percent of the state’s total electric generating capacity, generated by 16 coal-fired stations. “Utah emitted 25.3 tons of CO per person, about 25 percent higher than the U.S. average,” SourceWatch says. That was 41 million tons of CO, or 66 percent of the state’s total carbon dioxide emissions, plus 34,000 tons of sulfur dioxide, and 68,000 tons of nitrogen oxide. Don’t breathe too deeply. And while the Republican conference generally agreed that clean-coal emissions are possible, there are experts who demur. “We don’t have carbon sequestration reliably,” says Arjun Makhijani, president of the Institute for Energy and Environmental Research, an anti-nuclear policy organization based in Maryland. Admittedly, technology is growing around carbon sequestration designed to take carbon dioxide out of the atmosphere and store it, but it’s both expensive and experimental. And it’s mostly of interest to the coal industry itself. Makhijani is a noted author and expert in nuclear fusion, but he’s also seen as the nuclear Antichrist. His book Carbon-free, Nuclear Free is panned by nuclear proponents as a myth. Even Patrick Moore, a cofounder of Greenpeace, now says he thinks nuclear is the only answer “for large-scale continuous, clean, safe, reliable and costeffective” electricity. Bennett tried hard to address the issues around nuclear plants by demonstrating how safe the technology has become—certainly since 1979’s Three Mile Island meltdown and, later, the 1986 explosion of the Chernobyl nuclear plant. Ted Rockwell of the American Nuclear Society went so far as to call Three Mile Island a great success. Everything worked properly. Systems shut down. No one was hurt, and the “China Syndrome”—a movie-born term that has molten fuel burning its way through the Earth—didn’t happen. “What TMI showed,” said Rockwell, “was that the consequences were zero.” No measurable amount of radiation was found in the vicinity, and the 10- to-20 tons of molten fuel only burned about five-eighths of an inch down, without penetrating the reactor vessel. Chernobyl was a different animal, of course because the Ukrainians had built it poorly. Chernobyl’s graphite moderator burned for 10 days, spewing radiation throughout the atmosphere. It was just bad technology, Rockwell suggested, it will never happen here. And the mantra persists: No one in the United States has ever been hurt by nuclear. If that is true, then the U.S. Labor Department has paid more than $5 billion in compensation and benefits to 52,600 sick nuclear-weapons workers for nothing. Monticello had a uranium-processing mill that was shut down in the 1960s, and then much later declared a Superfund cleanup site. Children had played in tailings ponds, while residents had dried their laundry inside for fear of holes burning through their clothes, according to the group Victims of Mill Tailings Exposure. For another site, the Department of Energy will probably spend $1 billion to clean up uranium tailings left from the Atlas mill near Moab. In fact, there are four abandoned uranium mills in Utah that promise cleanup costs for taxpayers.